Lets say there is a major server failure in your company and users are unable to access the resources that they need. If the problem is not resolved on time, this could lead to multiple customers reporting the same problem over and over again causing duplicate support tickets to be created in your helpdesk. Rather than spending time manually updating and resolving each support ticket request, you can simply merge them all together into a single support ticket. 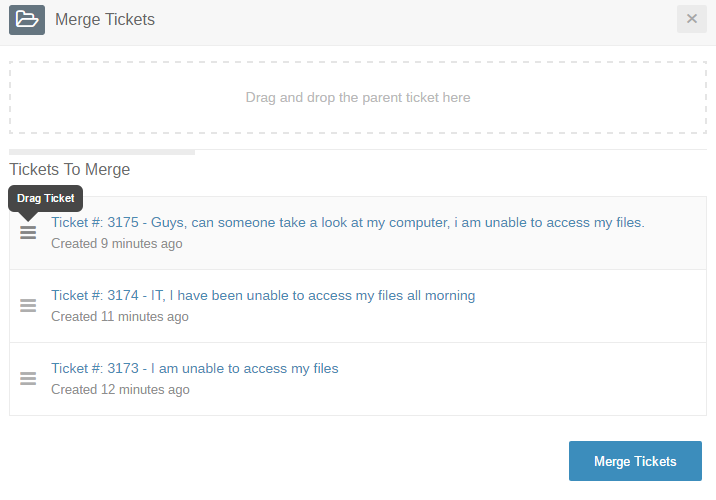 Linking multiple tickets together to create a parent / child relationship. Note: Merging multiple tickets together will insert all merging tickets public and private messages, resolutions, attachments, agents, time spent and parts into the parent ticket. 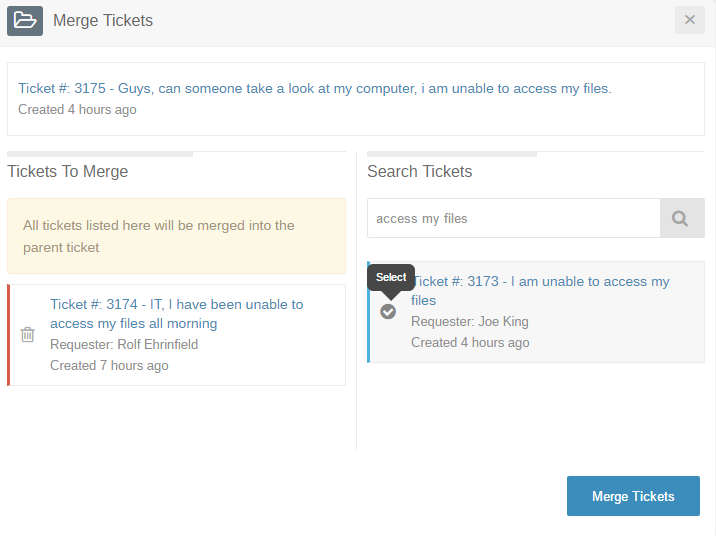 It will also automatically delete all merging tickets once the process has completed. Select the tickets that you would like to merge, then click on the More button option and select the Merge Tickets option in the drop down menu. Once the popup modal has opened, drag and drop the parent ticket from the Tickets To Merge list to the "Drag and drop the parent ticket here" section. 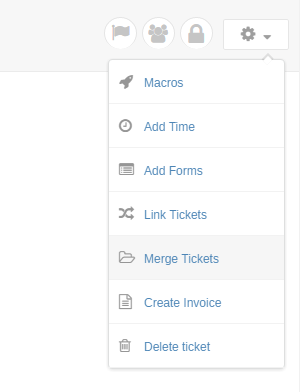 Finally, click on the Merge Tickets button to merge the tickets together. Note: Without sufficient permissions, you may not be able to merge tickets that are currently locked by other agents. Also, child tickets cannot be merged. Select any ticket. 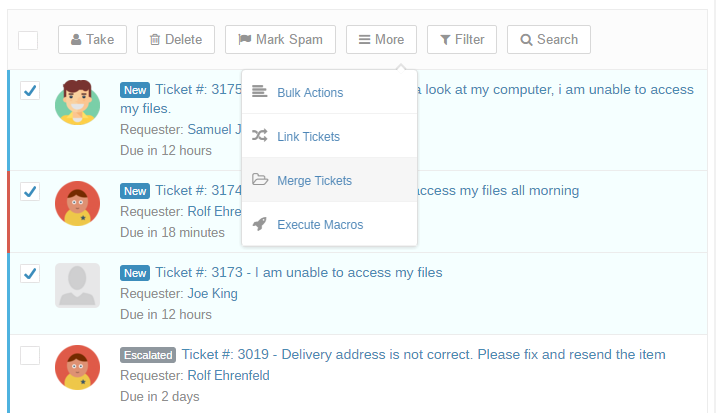 At the Top Right of the ticket view page, click on the drop down menu and select Merge tickets. Once the popup modal has opened, search for the tickets that would merge to link and select them by clicking on the Select ticket option. All selected tickets will be added to the Tickets To Merge list.